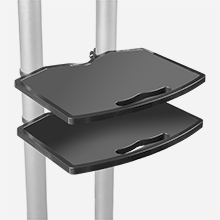 For bigger and heavier screens pick sturdy, all steel mounting frame on wheels for easy mobility and convenience - universal TV cart ONKRON TS1881. 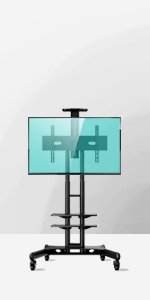 Height adjustable rolling TV stand ONKRON TS1881. 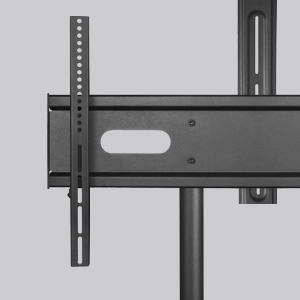 with double shelving designed for big screens and fits flat panel or curved displays, LCD, LED, OLED, QLED, HD, 4K televisions, gaming monitors, TV sets, with bigger diagonals from 55” to 80 inches weighting up to200 lbs. 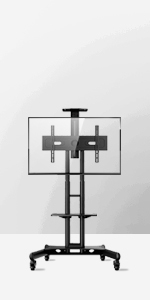 Supports televisions with diagonal from 55” up to 80 inches. 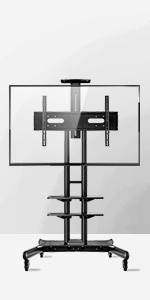 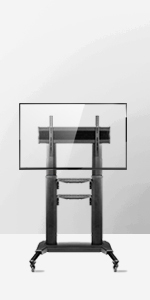 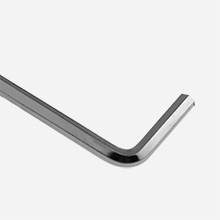 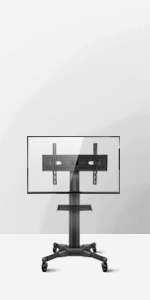 Strong and durable frame is made of SPCC steel and can easily hold TV sets weighting up to 200 lbs (90 kg). 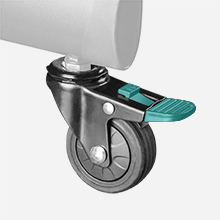 This cart has undergone triple load test - it is safe and sound. 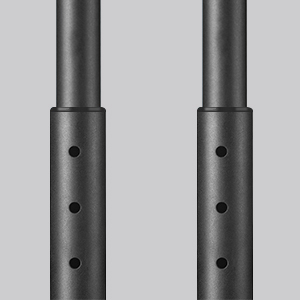 Telescopic steel columns designed to lower or raise your TV screen without any tools. 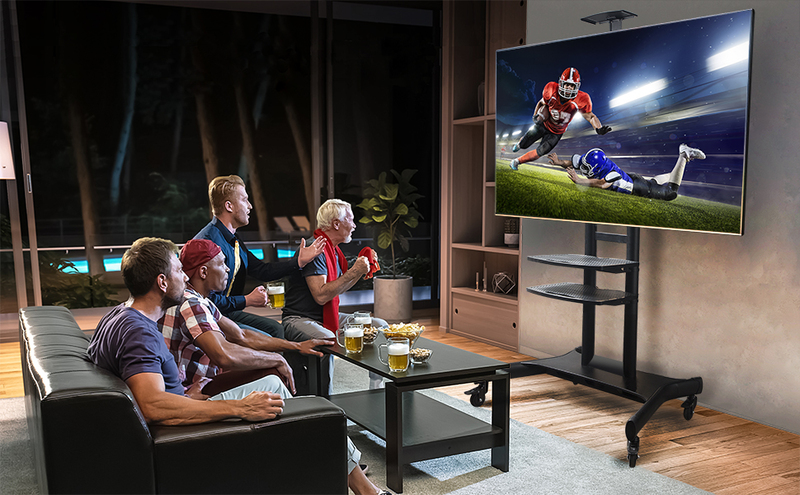 No need to take the TV off the mount. 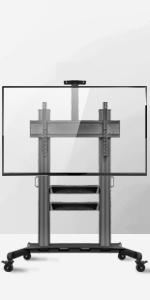 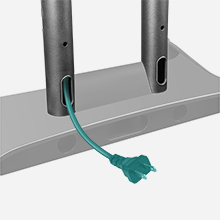 Available height adjustment range is from 61" up to 65 inches off the floor in 2-inch increments.